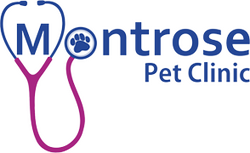 Montrose Pet Clinic is proud to serve the Beaumont, Alberta area for everything pet related. Our veterinarians, animal health technicians, and supporting staff are licensed and trained to provide the best possible care for your furry family members. We pride ourselves on exceeding your expectations. New clients are always welcome! Our team is committed to educating our clients about keeping their pets healthy year round with good nutrition and exercise. Montrose Pet Clinic stays on top of the latest advances in the veterinary industry and above all, remembers that all animals and pets need to be treated with loving care during every check-up, procedure, or surgery. Our clinic is very clean and is equipped with cutting-edge technology. We can also assist in referrals to veterinary specialists if needed. We are very open to your suggestions or input that will allow us to ensure that our clients and their pets receive the best possible care. Ultimately, the clinic is here to serve your needs, and all pets whom we have the privilege of treating will be treated like our own! Feel free to browse through the categories below. Please give us a call if you have any questions or concerns.